Sgt.Carnage wrote: Hambooga, while we wait anyways, could ask Junior why he edited his first ban appeal? To answer your question, If you read my 2nd post, i mentioned that "the reason why he (Junior) did not respond to Carnage was because he (Junior) wanted to seek help from a General that could help, and he (Junior) waited months for a response from the General yet to no avail, hence why he (Junior) deleted his post." P.S Junior wanted me to let you know that if anyone is questioning his "gamestyle", he simply told me that he has a demo already made and it just needs to be sent out, due to problems that has been occuring with his PC, he is currently unable to release the video out. He also wanted me to show you this to prove that he has been without a PC for quite some time. Hope that helps Sgt. Carnage, If there are any other further questions you might have. Please do not be afraid to PM me on steam. I haven't questioned his play style, I remember sacking him in-game like everyone else. I just didn't understand his phrasing in his first appeal. It was something like "I changed my play style so I wouldn't get suspected again". It was something like that, and it just made me wonder. Because I have never changed my play style, even though I have been suspected of cheating many times, basically because I know I'm legit. For him to state the previous just made me confused and curious. 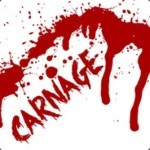 Sgt.Carnage wrote: I haven't questioned his play style, I remember sacking him in-game like everyone else. I think what Junior meant to say was that he'd let an admin watch over him, whatever they have to do so they don't accuse him of hacking, maybe change to a weapon of their choice. Least that is what he told me. I apologize for the confusion and on answering behalf of Junior. I know this can be quite confusing at times. I hope this situation can be resolved as soon as possible. We're growing extremely impatient. It shouldn't take this long to come up with a simple answer, it takes under 5 minutes. It isn't difficult. If what you're saying is true, then I would have told him that he's an above average player. My above average player list for the SRRP server contains only 8 names, Junior is not a part of that list. 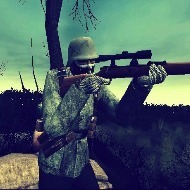 Sgt.Carnage wrote: If what you're saying is true, then I would have told him that he's an above average player. My above average player list for the SRRP server contains only 8 names, Junior is not a part of that list. Junior told me that once he gets his PC back again, he would like to do another 1v1 with you, however this time. To settle things once and for all, he would like to have the admins spectate the 1v1, to prove whether Junior is a hacker or not, at least some sort of chance for Junior to prove himself and so that the admins could properly have record/evidence whether Junior was hacking or not. If Junior were to lose, he has told me that he will stay out of the SRRP Server, however if he wins, then his reward should be that he is allowed to stay. He will let you know when you guys can have that 1v1, when he gets his PC back and if you're interested. With all due respect, In my opinion *although it may not matter*, I do not see what the SRRP has to lose over this 1v1 match. So if it is possible, we do hope you'd be interested in that 1v1 match. I frankly would not understand why anyone would want to hack in a game like this really, It was always more of a casual thing in my eyes, and knowing Junior for quite some time, He even told me that he's simply there in the server because he had friends there and all he wanted to do was well, have fun with them. I wouldn't see why a hacker would go to a game like this, this is why Junior is still wanting to go back in, as if you see it from my point of view, this would be unfair. He really likes the server. Most people think he's hacking and yet has never had any sort of concrete proof. I would understand what a hacker can gain if he were to hack a game like CS:GO, however this is DOD:S, there's not really much to gain from it, to me it's just something people play to get together. this is just something I decided to write so that ya'll could at least see it from a friend of Junior's. Til' Junior gets his PC workin' once again, I thank you for your cooperation.